Companies that take the time and effort to implement a successful Employee Wellness Programme (EWP) see the benefits in their employees and their bottom line. In fact, research has proven a compelling financial savings that EWPs have for companies – and they are substantial. So, it makes sense to ensure that your EWP does what it intends – promote wellness. No matter what initiatives are in your EWP, they need to meet two criteria a) suit the culture and characteristics of the company, and b) not be too costly to implement and so be rejected. One intervention that cuts across business size, sector and culture lines is screening for health risks and should be part of every EWP. Of course this will differ from company to company – a large business is more likely to be able to afford to set up a clinic on the premises, while a very small business would need to find more innovative ways to implement similar wellness interventions. 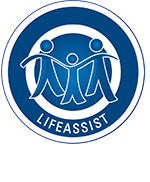 A partnership between the medical scheme and a service provider like LifeAssist can make it more affordable. So it’s likely we will start seeing more strokes and heart attacks. All of this will, of course, impact on the financial bottom line, and overall company morale. Debbie Bradshaw and her colleagues, who authored the report, say that the solution to this burden is two-fold: government standards and regulations for food and behavior change. On the level of behavior change, prevention is essential. If conditions like high blood sugar, high blood pressure and high cholesterol are treated early enough, significant health issues can be avoided. But if they are left, a stroke or heart attack is more likely to follow. But why is this important for businesses? How do we prevent employees from becoming one of these statistics? What role can the EWP play? Notwithstanding HIV Counselling and Testing (HCT). This is most effective when done in conjunction with general Health Risk Screening . It is cost-effective and the methodology encourages uptake as it reduces stigma by normalizing HIV as another preventable and manageable chronic condition. As with the aforementioned NCDs, the need to address risk taking behavior is obvious in the context of curtailing the HIV and TB pandemics. Under the inspired leadership of Dr Aaron Motsoaledi, in 2011 the Department of Health in South Africa mobilised the most ambitious HCT campaign worldwide. The goal: to initiate a public private partnership to test 15 million South Africans within a year, and thereafter encourage adults (people aged 12 years and older) to participate in HCT every 300 days (minimum annually). In essence, the intention is to reduce the period from infection to treatment to less than five years in the general population (significantly reducing transmission rates), and achieve community level reduction of viral load, reduce the pool of infective people and achieve positive prevention. Together with adequate medical care and counselling services, effective education, universal access to multi-level preventative measures and addressing social stigma, the statisticians consider that it is feasible to eliminate new HIV infections by 2030. Every corporate organization has the ability to combat this epidemic by incorporating HCT into health risk screening and offering this to their employees annually. And this is where EWPs can play a role. Health risk screening is just one aspect of using EWPs in the workplace that is not costly or difficult to implement. In fact it may actually save money by reducing absenteeism and increasing productivity at the very least. And at the most, it may even save lives. 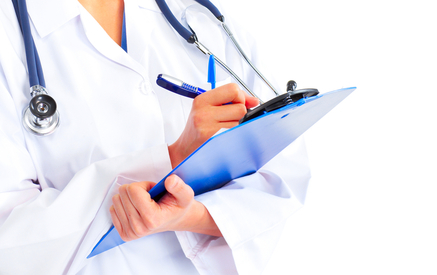 Health risk screening is a broad phrase to catch all types of health screening. Most often this refers to non-communicable diseases (NCD), but can be extended to other areas of health. And as Bradshaw and her colleagues point out – if screening can pick up the warning signs of a NCD, the actual disease or its effects of a stroke or heartache can be prevented – saving time, money and productivity. So Health Risk Screening is a natural part of an EWP – it is a low cost option with potential high impact returns. And it can be adapted to suit all size organisations. Small business – communicate the importance of screening to all employees. Create pamphlets or use company meetings or communications to encourage people to go for screening. Set out the minimum screening tests like blood pressure, blood sugar, and cholesterol. And if possible, list the private and public clinics nearby who can do the testing. Medium size businesses – implement the above and also offer some on-site or sponsored testing services. For instance, take note of when government may be having a health drive in your area (for example, heart week may be promoted with blood pressure testing at clinics nearby). Then either offer your work site as a place where testing can take place, or arrange for a nurse to come test employees if they choose, or join up with other businesses in the area to reduce costs of screening tests. Large companies – both of the above plus use the business’s collective negotiating power to negotiate with health service providers to come on site and offer screening tests. Health risk screening is an important step in the EWP. But as with all strategy, it cannot be implemented in isolation. Consider what communication or support you can provide to people who test for a NCD. This too will depend on what resources you have available – the most obvious being your EWP. But above all, health risk screening is an effective and positive step in behavior change. For employees, knowing you have a particular health risk is both informative and also motivating in the process of becoming healthier. And for business and EWPs, increased knowledge empowers employees to make better choices about their health and promotes wellness in the long run. For a comprehensive overview on how workplaces and EWPs can play a role in preventing non-communicable diseases, read the article An Ecological Approach to Non-Communicable Disease Prevention in the Workplace by Anniza de Villiers of the MRC and her colleagues. You can also contact LifeAssist for a customized Health Risk Screening strategy that can stand-alone but is most effective when seamlessly integrated into your EWP to ensure ongoing support for people who wish to prevent or manage a NCD. Berry, L., Mirabito, A.M., & Baun, W. (2010). What’s the hard return on employee wellness programs? Harvard Business Review, 88(12), 104-112. Baicker, K., Cutler, D., and Song, Z. (2010). Workplace wellness programs can generate savings. Health Affairs 29(2), 304-311.